Cryptorio is modern, elegant Cryptocurrency Trading platform. Cryptorio is a fully featured platform that offers everything about a trading platform. It’s excellent UX will provide the best trading experience for traders. Cryptorio comes up with two best colour skins for more flexibility of interest. 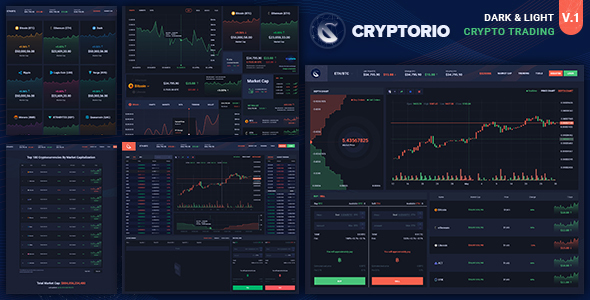 Cryptorio included almost every features that are necessary for traders. If you tend to open up a trading platform then The Cryptorio Trading Dashboard is all in one solution you need.